Curriculum and Coffee: Math Puzzler Centers! Hi!!! Incase you live under a rock, or haven't heard, TpT is having their HUGE BTS Sale! Everything in my store is 28% off! So last year I never really got into math centers or stations because of how broken up my afternoon was with specials. This year, it's even worse! I didn't think it could get worse, but it is. My specials are at different times each day, so that breaks up any thought of a smooth afternoon, which is typically when we do math. 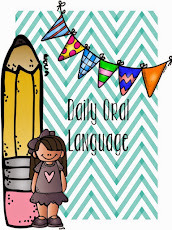 I think because of this schedule, I am going to HAVE to teach in small groups and have centers or stations. That got me thinking... what would they even do in stations? Then I saw these CUTE puzzle pieces from Creative Clips, and that got me thinking... puzzles! 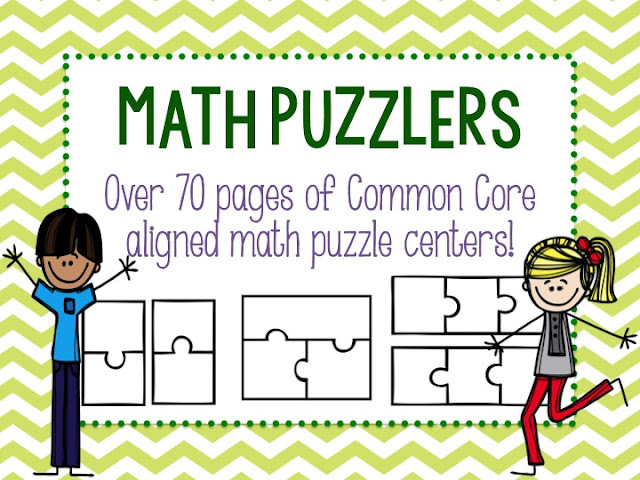 The kiddos can do math puzzles! So I made a whole bunch of puzzles, corresponding recording sheets, more challenging puzzles, etc. In all, there are FIVE stations, and over 70 pages of puzzles. Each station is aimed at a certain standard, and meant to practice that particular skill. The single digit addition puzzles are broken up by number families, and can be easily used for differentiation. Students will have to show proficiency before moving onto the next number family, so that station alone can be broken down into several other stations. I have mine printed, laminated, and cut out. I then wrote the number family on the back of the pieces so they can always find their way home. When I print the rest of the number families I am going to print them all on different colored paper, so you will really know when one is somewhere it doesn't belong! Once they were all labeled, I put them into a baggie and just wrote the number family on the baggie. Now I have seen cool little containers that will house things about this big, and that's cool if you want to use those, but I'm a cheap-o and will use what I have! I am SO excited to see these in action! I am also so glad I have them all ready to go before the school year starts! You can grab these Math Puzzlers in my TpT store until midnight TONIGHT for 28% off! What have you prepped this summer?